Are you getting excited about Laurel and Hardywood yet? Well, let me help you by sharing more plans for the event. Exactly one year from today, the Sons will celebrate Day Two of the 19th International Convention. 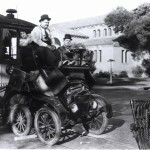 Again, we will board buses in the morning to visit sacred grounds: Laurel and Hardy filming locations! Exact locations during today’s tour still are in the works. But, some time during the convention, you can bet we will visit where the boys filmed: Liberty (the building in downtown LA); and the houses in Another Fine Mess; Wrong Again; Love ‘Em and Weep; and Me and My Pal. 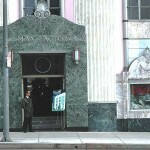 Other film locations will be from Hog Wild; County Hospital; Berth Marks; and Duck Soup. Lunch will be at Hollenbeck Park, which was the main location of Stan and Ollie’s classic short Men ‘O War. A picnic lunch will be provided there and brave Sons will take part in the pee wee and golf contests. (Never before in Sons’ history have we had these contests at an actual L&H film location.) There also will be a chance to view Men ‘O War at the actual location. 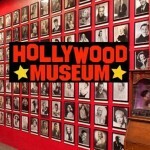 At 6 p.m., you will make your way across the street from the convention hotel to the Hollywood Museum for a cocktail upon arrival and the chance to wander around three floors full of Hollywood memorabilia. The special exhibit on the second floor honoring the 100th anniversary of the Hal Roach Studios will be a once-in-a-lifetime event. We hope to have displays that will fill the entire second floor with Laurel and Hardy, Charley Chase, Harry Langdon, Harold Lloyd, Our Gang and other Hal Roach stars’ and employees’ memorabilia. (Some high-profile Sons Laurel and Hardy collectors are already on board with loaning their treasures to the museum for this event. If you have such treasures you are willing to loan during the summer of 2014, please contact me for more information!) 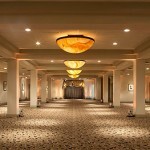 A full buffet dinner will be provided by one of Hollywood’s most elite caterers, Someone’s in the Kitchen. This night alone will be worth your attendance at the convention!